It’s that time of year when baseball teams start to prepare for a playoff push and for the Philadelphia Phillies their chances were weakened with the injury to surging center fielder Ben Revere. During his plate appearance Revere fouled a ball of his inner ankle. Initially Revere thought it was just a bruise until x-rays showed otherwise. Now he is looking at 6-8 weeks of time off. Let’s take a quick look at the overall structure of the ankle and how this affects an athlete. The ankle joint is composed of three bones, your tibia (shin bone), fibula (outside ankle bone) and talus (bottom part of the ankle). When any of these structures are injured it can inherently make the joint as a whole much more unstable. Even injuries such as ankle sprains or high ankle sprainscan contribute to instability as well. A fracture of the medial malleolus, in Revere’s case is actually very rare without further injury to the fibula. The reasoning for this is due to the strength of the ligaments found at the inside of the ankle and the mechanisms that cause fractures typically. An example is the fact that more people roll their ankles in than out. These mechanisms contribute to where a specific fracture occurs. In Revere’s case a direct blow of a baseball most likely traveling at around 100 m.p.h is more than enough to cause a fracture. If left untreated, or if Revere continued to play on this injured ankle it could cause significant arthritis, more instability or chronic pain down the road. Under going surgery for an athlete is the quickest road to recovery. By re-approximating the bone with screws and/or plates it helps to create a sound interface for healing. 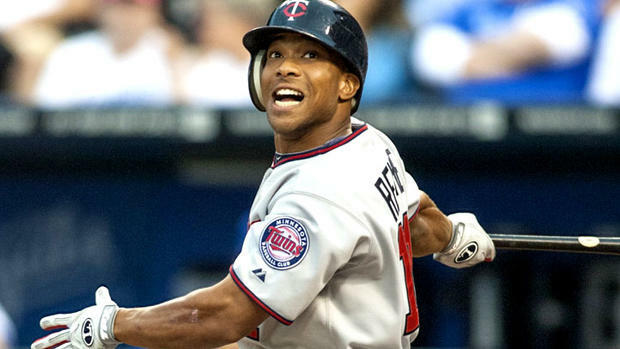 The likelihood is that Revere will be back before his 6-8 week mark suggest based on history of other elite athletes. In the mean time the Phillies will have to try and win without him. If you have chronic ankle pain or instability that has not gottenbetter call Advanced Podiatry today at 813-875-0555 for a more in depth evaluation of your issue. Nine Out of Ten Women Wear Shoes That Are Too Small For Them! Is It More Difficult To Stand On Your Feet For One Hour Or Walk On Your Feet For One Hour?